This statistic shows the distribution of AIDS diagnoses among males in the U.S. in 2017, by ethnicity. 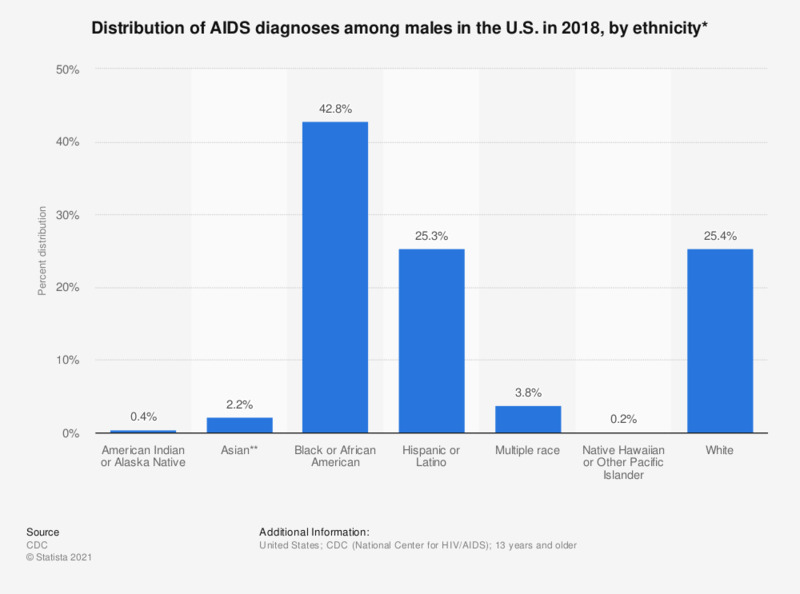 In that year, Asian males accounted for only 2 percent of male AIDS diagnoses, whereas black or African Americans accounted for over 42 percent of such cases. * Percents may not sum to 100% due to rounding and because persons of unknown race and Hispanic origin are included in totals. Percentages were calculated based on given numbers in the source.